HVL main gate, L on Alpine past golf course, R on Cliftmont to prop on R.
Beautiful & unique lakefront property loaded w/upgrades. Kitchen w/custom Amish built maple Cabinets & granite tops, luxury Master, Lg living areas w/walls of glass overlooking the lake! Super finished LL w/wet bar, awesome living areas outside. 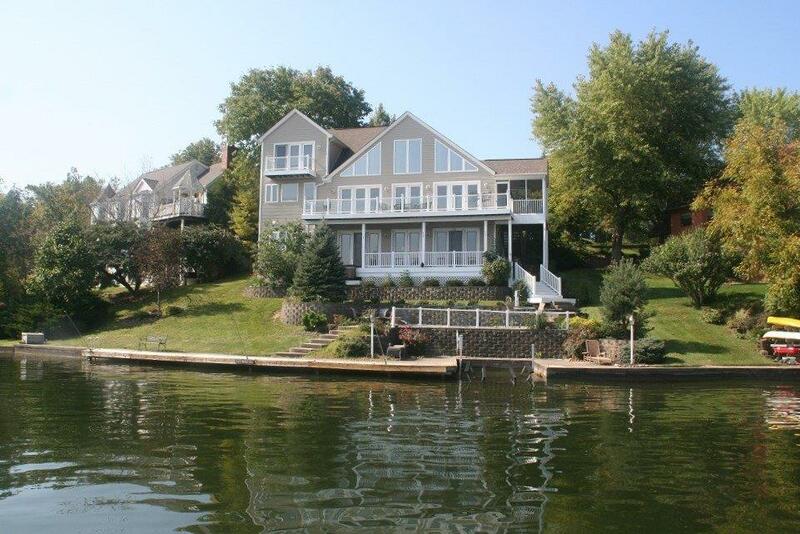 3 levels of deck plus terraced patios & dock w/slip. Even a hot tub overlooking the lake!